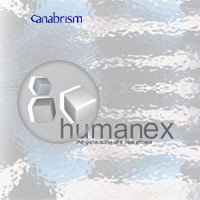 Download free albums by Canabrism. Give them to your friends. Spread the albums around. Make a donation if you like. 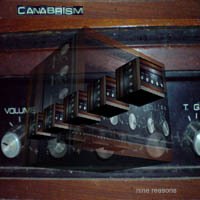 Welcome to the Canabrism album download page... where you can download albums for free. The albums are zipped 128kbps mp3 files - just download (right-click and save) and unzip, put them on your iPod, give them to your friends (or your enemies), post them on your blog. 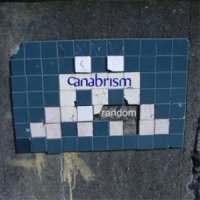 Free Canabrism Album Downloads: What's In The Box? It's been about a decade now since the first Canabrism tracks were recorded, as featured on the album 'The Gas Bill Recording To Mark'. 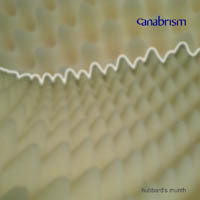 This album was published (somewhat retrospectively) in 2005, shortly after the release of the first official Canabrism album, 'Between Things Together'. Various other works created before this time have since been compiled into album form also, such as 'Humanex' and 'Bodkin Squad'. 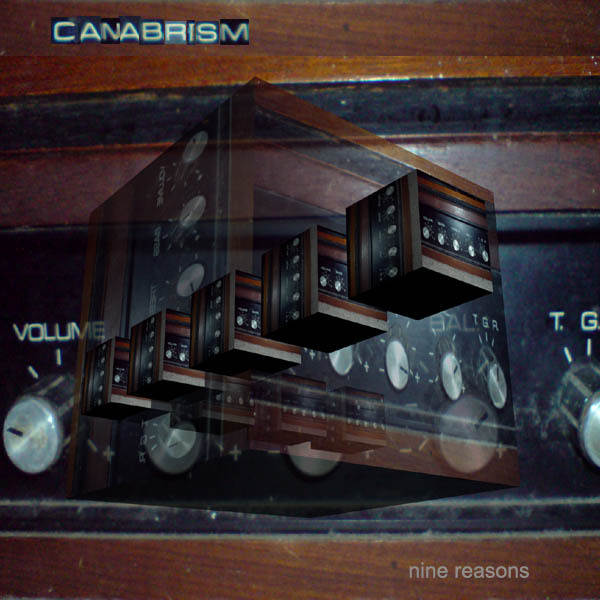 "Nine Reasons" was created as part of the RPM Challenge in February 2008. It's a good-humoured pad-driven album featuring plenty of guitar, with some jazzy overtones on the bookends and something resembling a vocal on 'Tony's Trapped'. Some samples taken from Dublin's inner-city playgrounds also appear on this one, along with a selection of goats from the south of Spain. "Hubbard's Munth" was created as part of the RPM Challenge in February 2007. It's a downtempo instrumental affair, somewhere between electro-acoustic and folktronica. This is a mellow listening experience, with occasional forays into electronic waters, but mostly guitar-driven (electric, acoustic and bass) with a cameo vocal on 'Eighth'. "Random" is based on a variety of computer-generated patterns, mainly in the area of drums and percussion. Although the album does start out at a fairly energetic pace, in particular on the track 'Random Bottles' which has been described as sounding "like the House of Pain on Buckfast", by the end of the album everything drains out into an atmospheric Eno-esque sonic tribute to Kurt Vonnegut and his science-fiction hack Kilgore Trout. "Humanex" was originally a multimedia project which was first created for exhibition in the Douglas Hyde Gallery in Trinity College, Dublin. The premise of the project was that users could select memories from unchosen life paths, as each decision a person makes in their life spawns a new universe in which the alternative option was actually selected. These universes had previously been inaccessible - however, the advent of Tenthal Vibratory Rarefaction allowed scientists to retrospectively implant memories from these parallel dimensions into the mind so that they could be experienced as if they had happened in this dimension. The Humanex project was a demonstration of how some of these memories could be selected. 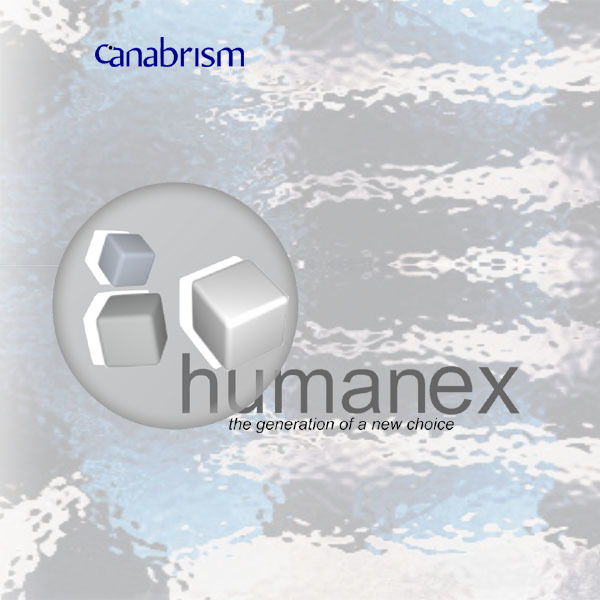 As such, the Humanex album represents a sequence of unstructured memories from a variety of potential pasts, with memories overlapping, fading in and out of focus and having a variety of different sonic qualities. "The Gas Bill Recording To Mark" is chronologically the first Canabrism album, although the name of Canabrism was not officially adopted until the recording of the live album "Bodkin Squad" in 2003. GBAM is much closer to a Flaming Lips demo than the drill'n'bass inclinations of "Random", and its rudimentary production values are part of its charm. Almost all of the music was performed on a Fender guitar using an extensive array of effects, and the entire album was recorded on a Boss eight-track. As such, it has a very lo-fi feel, and the closing track 'Satellite Sounds' is a pleasant, straight-up indie song that remains a favourite of many Canabrism fans. Although there are no listening restrictions on these mp3s, there is a usage caveat - the only thing you can't do is make money from them. This means you can't sell them on, use them in advertisements, films or other commercial productions. If you want to use Canabrism music in a student film, that's OK - but please put a credit in and send a notification email to license(@)podcomplex.com. 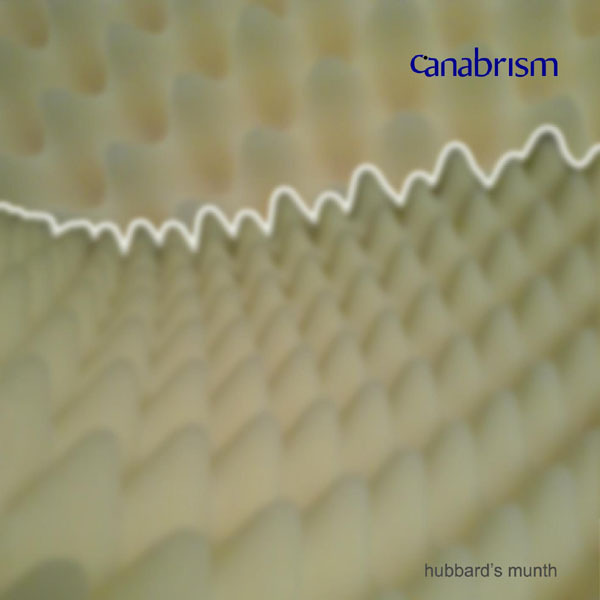 You can also use this address to request the use of Canabrism music for commercial purposes.